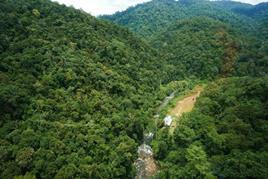 Samboja Lodge is a venture of Borneo Orangutan Survival (BOS) Foundation. Here visitors will be able to gain first hand knowledge on what is required to rebuild a forest and protest its wildlife, especially in our effors to preserve the rainforest and critical endangered bornean orangutan. It is our hope that you stay with us will encourage you to support the preservation of bornean orangutans and their habitat. 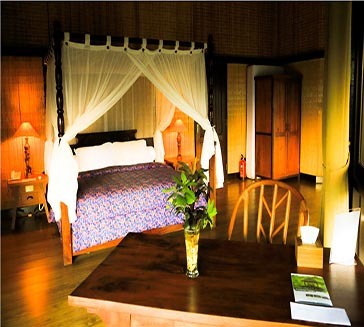 Come and stay with us for a lasting memory of borneo! 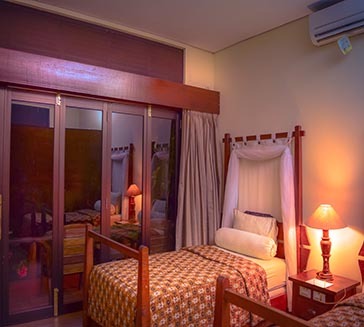 Samboja Lodge is a unique & unforgettable delight. 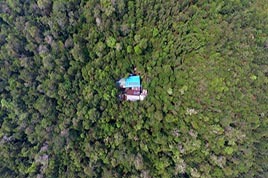 Hidden within reclaimed forest, it transports travelers from the everyday to the exotic. 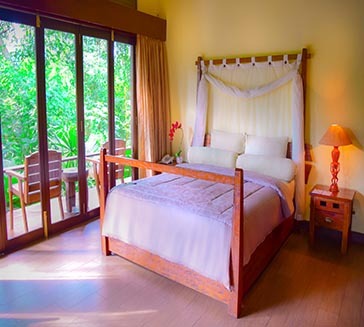 A jungle experience without sacrificing any creature comforts from home. Pulling up to the lodge at night, to the sounds of crickets, sicadas & birdsongs, one is greeted by a candlelit entrance & lots of smiling faces. The staffs are as friendly as you might wish for. The food is first class & the service is excellent. I can’t recommend this location enough. And all this happens before you get to see the Orangutans. Friendly staff + incredible food are just the icing on the cake at Samboja Lodge. I have been made to feel welcome + comfortable here every day. Staying at Samboja Lodge has been an awesome experience. The rooms are a great size and looked after really well. All the staff are amazing, friendly and always ready to help us out. Meals times are always fun and we are so well fed with delicious food. I would definitely stay here again and recommend it. Thanks for having us!